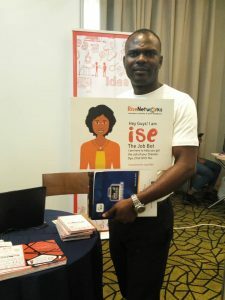 The Big Data and Business Analytics Conference held in Lagos from the 5th to 6th of March 2019 at Radisson Blu, GRA, Ikeja witnessed the beta testing of the ISE the Job Bot which is the The Robotics and Artificial Intelligence component of The Rise Labs by Rise Networks. 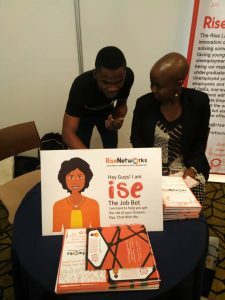 ISE the Job Bot is Nigeria’s first Job Bot, designed to provide answers to an array of enquiries made from it by Users on various aspects of Career Growth, Job Searches and Work Readiness. 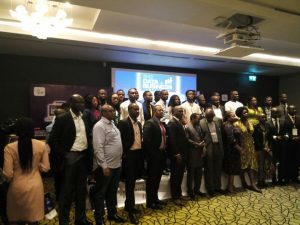 The conference themed “Unleashing the Power of Data Analytics to Drive Business Results”, explored Insights and Analysis, while evaluating the African market opportunity, identifying top-ranking industries and providing market forecasts. The Conference brought together some of the best Thought Leaders and Expert in Data Science, Big Data and Business Analytics, Internet of Things, and the Global Tech Space across Sub-Saharan Africa to share insights on leveraging data for strategic business decisions. The Speakers includes Prof. Emmanuel Sonaiya, Professor of Animal Science at Obafemi Awolowo University (OAU), Ile-Ife; Prof Ndubuisi Ekekwe, Founder and Chairman of Fasmicro; Prof. Anindya Ghose, Professor of Business at NYU, Stern; Yemi Keri, CEO of Heckerbella; Shingai Manjengwa, CEO of Fireside Analytics (Canada); Bayo Adekanmbi, Chief Transformation Officer, MTN Nigeria; Andrew Collier, Lead Data Scientist at Exegetic Analytics (South Africa) and Prof. Bitange Ndemo, Professor of Entrepreneurship (Kenya); Ugwem Eneyo, CEO Solstice Energy Solutions; Hon. Afam Mbanefo, Commissioner of Agriculture, Anambra State; Theo Medeiros, Founder of iDAF. 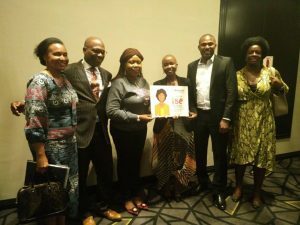 Others are Adeyemi Odeneye, Lead Data Scientist; Temitope Azeez, People Director, Jumia Services; Tony Ayabam, CEO of Infohob; Adedayo Ojo, CEO of Caritas Group amongst other speakers. 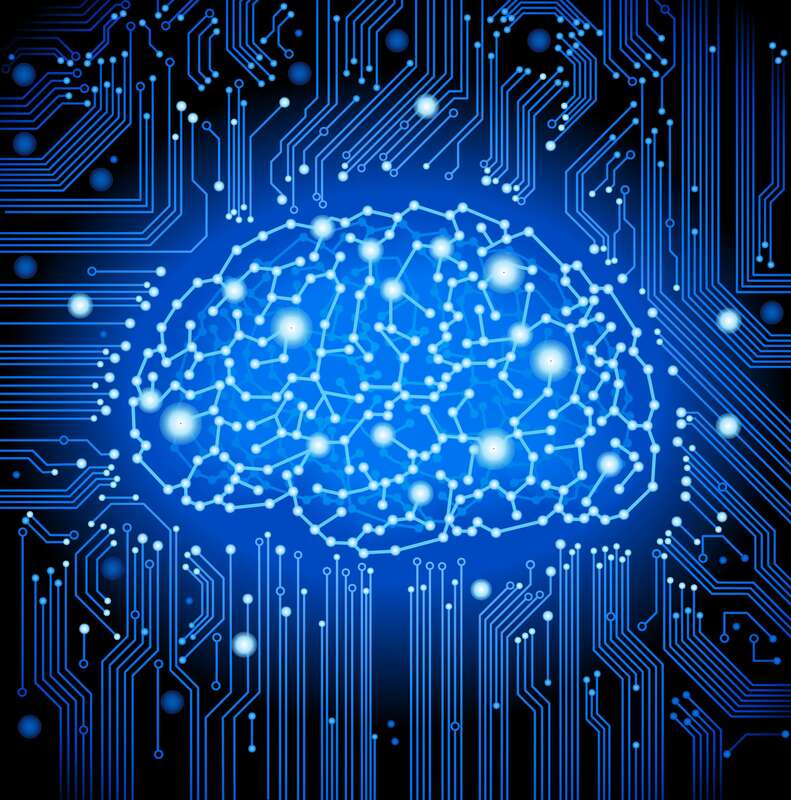 “Big Data has the potential to have a considerable impact on just about every industry. Its promise speaks to the pressure to improve margins and performance while simultaneously enhancing responsiveness and delighting customers and prospects or the citizens when you assess the impact of Big Data on governance,” says Theophilus Medeiros, the lead convener of the DABConference. 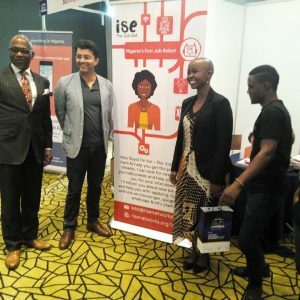 The value proposition of Big Data is so compelling, that’s why RiseNetworks have taken a proactive approach to harness this tool through the establishment of The Rise Labs, a Talent Pipeline and Work Readiness Centre that leverages Artificial Intelligence, Big Data and People Analytics to improve the skills sets of Job seekers for Industry Applicability. The Rise Labs by RiseNetworks would not only provide economic opportunity to young people and organisation, but will also improve lives. Davison Oturu, Partner at AELEX emphasised on the importance of every businesses taking advantage of their data as intellectual property to make informed strategic business decisions. It is indeed the time for business leaders and policy-makers in Africa to shift from intuition-based decisions to making data-driven decisions that align with organizational strategies. 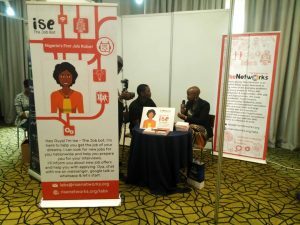 It’s our plan at RiseNetworks to create access to the best talent across Nigeria at measurably reduced rates, increase employment rate and positively affect consumption, a critical measure of GDP & other National Economic Layers through The Rise Labs. The data collated from different kinds of people, universities, situations, campuses, geographical context will be brought together for incremental knowledge building. The system continues to learn from itself on a regular basis and builds a robust intelligence that will make our Career Innovation Lab the first of its kind, driving high economic impact, employability that will eventually transform the narrative of our generation and Nation. On his part, Prince Ogwuru, co-founder Information and Data Analytics Foundation (iDAF) said, “The understanding and adaptation of data-driven decision-making using big data analytics provide the pivots for the evolution of next level peer-to-peer accomplishments in organizations. Thought leaders in various sectors of the economy, therefore, must buy into the big data analytics ecosystems to stay ahead of the curve in the ever-evolving marketplace.” Intrinsic in data is the change code an organization requires and the elevator pitch you need to blossom. 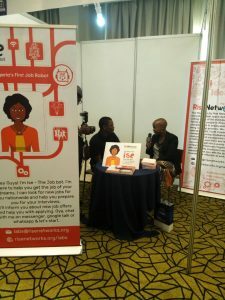 During the Panel Discussion, Toyosi Akerele, CEO/Founder of The Rise Labs by Rise Networks the brains behind ISE The Job Bot, said ISE will help young people to find all kinds of jobs across locations within and outside Africa, help African youth prepare and coach them for Job Interviews well as provide answers to all Career related questions they have. She is a revolutionary and disruptive tool that’ll change Career Development and Recruitments in Africa forever. According to Kai-Fu-Lee, an AI expert and former president of Google China, Artificial Intelligence is going to change the world more than anything in the history of mankind, more than electricity. 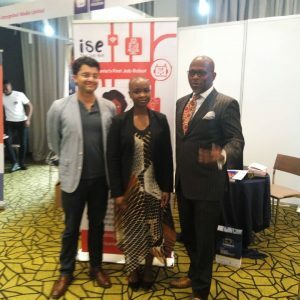 Kai-Fu-Lee’s believe is very true, and RiseNetworks is strategically positioned to greatly influence the future of work in Africa through ISE the job bot and The Rise Labs. The potential benefits of Africa’s youth population are unrealized as two thirds of non-student youth are unemployed, discouraged, or marginally employed. Only three million formal jobs are created annually while 10-12 million youth seek to enter the workforce each year. Even when jobs are available, youth often do not have the skills required by employers – despite improved access to education over the past several decades. The scale of the youth unemployment situation in Africa requires bold, ambitious Artificial Intelligence approaches to successfully address the issue. That is why what makes us different at The Rise Labs is our approach in applying Big Data and Analytics to HR in an unprecedented way in Nigerian and Africa. Our algorithmic people management frameworks which will require the use of data and possibly body language will be super exciting and ground breaking. Imagine a Candidate in our Simulation Lab being interviewed and probed with Cameras with the aim of understanding the person’s nuances, the presence of tension or fear that may impede the person’s success in traditional interviews. We will understand those personality challenges because camera can study body languages and movements. Now imagine data around history, work history, holiday jobs, places the person has travelled to, courses the person has done, background checks etc. By thinking about how AI is helping Marketing, HR can benefit by applying similar technologies to its processes. According to research by Gartner, one of the biggest challenges to implementing new technologies is the lack of structured data. Unstructured documents, audio and video files have vast amounts of information but need to be structured in order to be utilised. That’s why the collation of all the data from different kinds of people, universities, situations, campuses, geographical context etc. which will be brought together for incremental knowledge building would be the major metric for our success at The Rise Labs. Our system continues to learn from itself on a regular basis and builds a robust intelligence that will make our Career Innovation Lab the first of its kind, driving high economic impact, employability that will eventually transform the narrative of our generation and Nation. 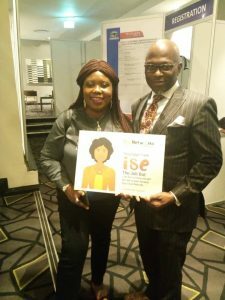 Participants and Guest Speakers were thrilled by ISE the Job Bot during her beta testing at the conference. 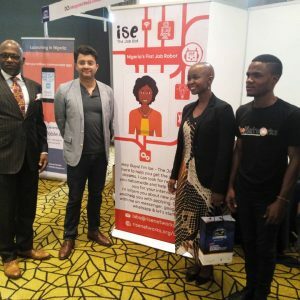 Shingai Manjengwa, the Chief Executive Officer (CEO) at Fireside Analytics Inc.; Bayo Adekanmbi, the Chief Transformation Officer of MTN Nigeria; Theo Medeiros, co-founder of the Information and Data Analytics Foundation (iDAF); among others endorses ISE the Job as the next big change to hit the continent of Africa. 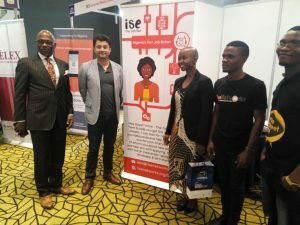 Automation and AI are continuing to impact HR practices, and Ise the Job bot is a technological tool that would greatly transform the recruitment process in Nigeria and Africa. According to research by Dr Benjamin Bader say yes, but … According to his research there has been an increased demand and use of AI technology for HR departments, particularly with global mobility departments. Also, one of the interesting findings of the research is that Robotic Process Automation (RPA) and AI is more likely to be used organisation-wide rather than just in HR departments. However, there are still concerns regarding the impact of new technologies such as taking the human ‘touch’ out of the process and the impact of AI-based decision-making. 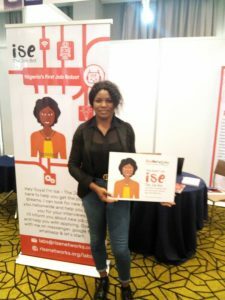 The World Economic Forum has announced that by 2025, Artificial Intelligence will create 63 Million Jobs and Mrs Toyosi said it’s the responsibility of Rise Networks to prepare Young People for the future of works in Africa, “we consider part of our responsibility at RiseNetworks to prepare Young People for Jobs of the Future”. 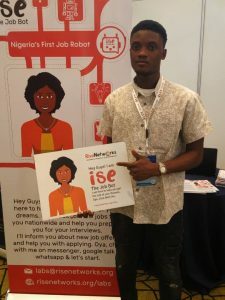 ISE the Job Bot will be officially launched and opened for operations to the general public in the first week of April, 2019.